Sponsorship Opportunities Available for Live Stream of Events. Have your business logo displayed on the live video webcast during the entire event. Contact us for more information. ​without written permission of the copyright holder. 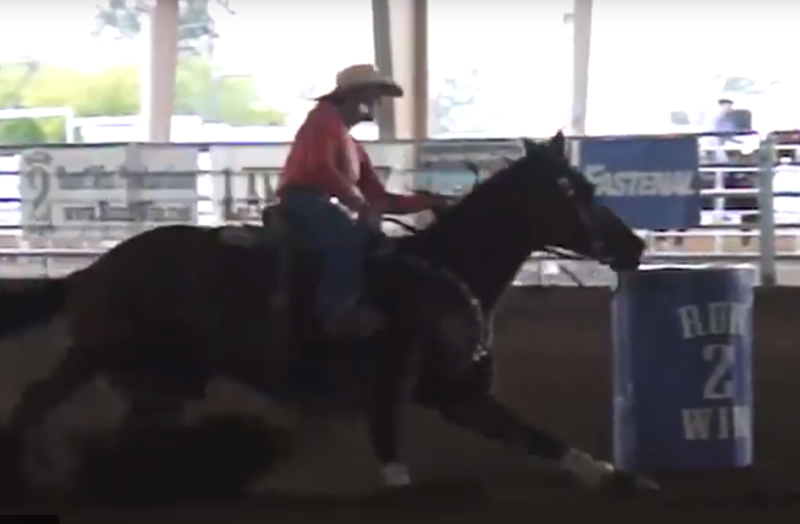 ﻿Improve your times, see where your hands are, where your feet are, where your horse is. All videos recorded in HD. ​Timed event videos in real time and slow motion. 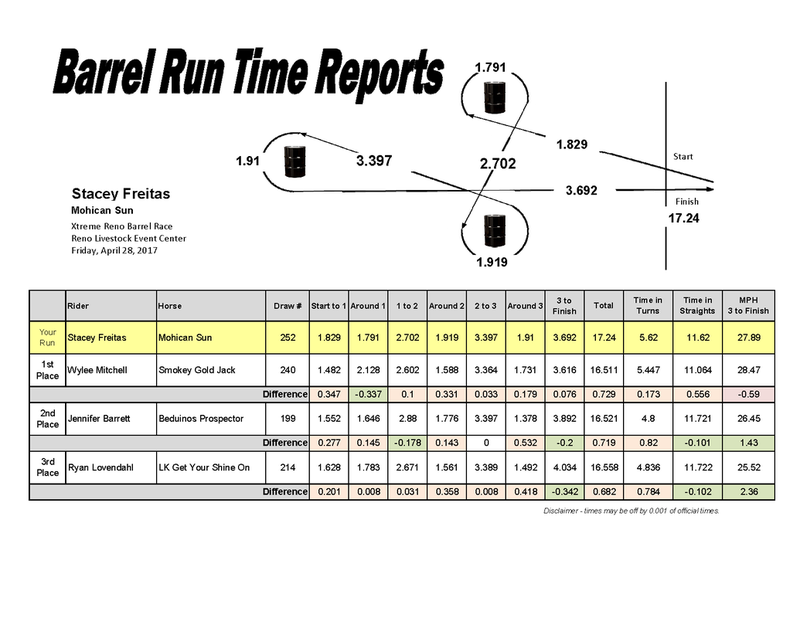 Barrel Run Time Reports or interval timing (as they were called back in the day) breaks your time on the barrel pattern down into 7 segments. Our report compares your run to the fastest 3 runs of the day and shows your MPH. Find out where you can improve your run and see how you stack up against the other horses. There is no comparison to what we do versus what you can do on your phone or tablet. We video with training being the first priority. Our videos show you and and your horse upclose. Timed event videos are unedited and sent in real time and slow motion. Videos are uploaded to YouTube, they are private but shareable and available for unlimited viewing for family, friends and trainers. Prices vary based on event. Visit the store for current pricing. Timed event videos are sent in real speed and slow motion. Compare your runs side by side to see where you picked up time in your run. Thousands of people tune in to every webcast, your ad will be seen by the people you want your ad to be seen by.